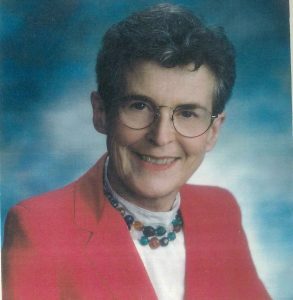 The late Michigan Tech Pres. 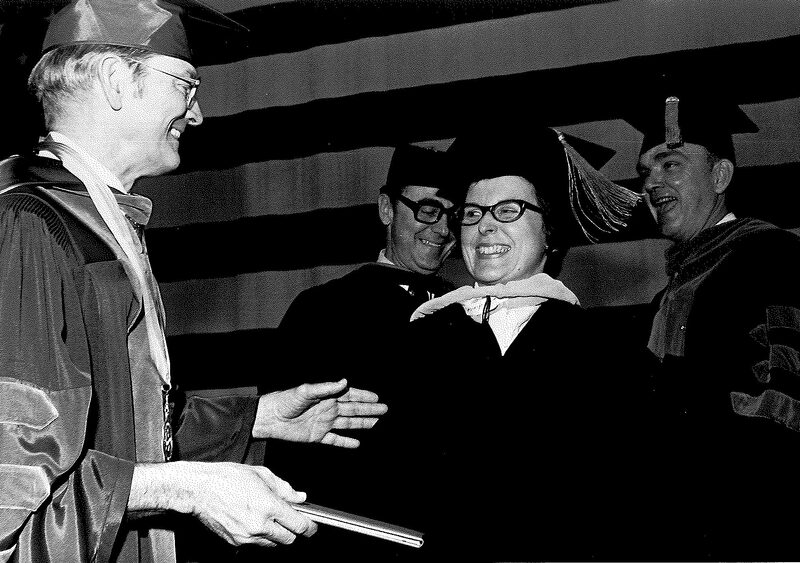 Emeritus Ray Smith presents a diploma to Dr. Nancy Scofield, the first female to be granted a doctoral degree at Michigan Tech, in 1977. Nancy Scofield was the first female to earn a doctoral degree at Michigan Tech. Dr. Scofield earned a PhD in Geology in 1977, studying copper redistribution in Portage Lake basalts. She reevaluated what was commonly believed in order to better understand the nature of the ore deposits. Dr. Scofield passed away in 2003. The Nancy Scofield Pioneering Research Award is given annually to a graduate student whose dissertation work expands the boundaries of doctoral research in the Department of Geological and Mining Engineering and Sciences. Emily Gochis—a PhD candidate in geology conducting research on innovative methods to improve geoscience literacy in pre-college students through professional development with their teachers and conceiving lessons around important geological features of their local area. Marine Foucher—recently completed her PhD in geophysics. She conducted research on the paleomagnetic history of Precambrian rock formations in the UP, Canada, and China. Priscilla Addison—a PhD candidate in geological engineering. She is using remote sensing to study permafrost thawing and the hazards it poses to transportation assets. Dr. Scofield’s doctoral advisor was then assistant professor William I. Rose. Bill is now retired but remains active in the department as a research professor. Nancy was his first PhD graduate. Professor Emeritus Gordon Scofield, former chair of the Department of Mechanical Engineering-Engineering Mechanics at Michigan Tech from 1969 to 1981, is Nancy Scofield’s husband. 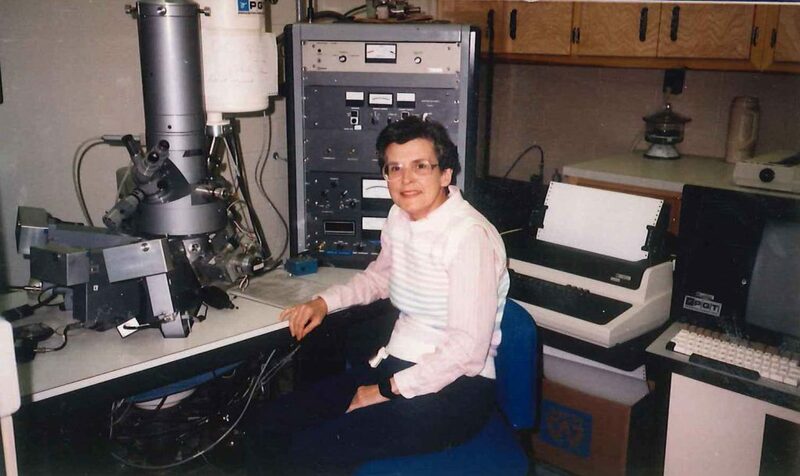 Gordon and Bill have shared their memories of Nancy from her graduate studies at Michigan Tech, as well as her professional work after graduating.